This campaign is in partnership with Black Alliance for Just Immigration. Would you like to receive email updates from them? I would like to receive updates from Black Alliance for Just Immigration. 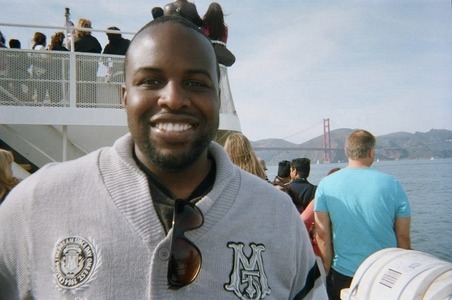 On October 3, 2018, San Mateo sheriff deputies tased Chinedu Okobi to death. Chinedu was a 36-year-old Nigerian-American who grew up in the San Francisco Bay Area California, a graduate of Morehouse College. He was a great father, a cherished son, a beloved brother, a trusted friend, a respected community member, and a gifted poet. Sadly, Chinedu is part of a tragic trend of unarmed Black people who’ve been killed by police. He was walking in broad daylight and had committed no crime. Five sheriff deputies escalated the interaction when they approached Chinedu who was walking in and out of busy traffic. Rather than offer support to Chinedu, who unfortunately was struggling with mental health issues, the deputies viciously tased Chinedu to death. We need your help to make sure that the sheriff deputies who killed Chinedu Okobi are held accountable for their crimes. The investigation has barely started and yet the District Attorney is already publicly trying to justify the deputies' actions, by making the assumption that because Chinedu was " 6'3 tall, and weighed 330 pounds, he was automatically deemed a threat and seen as dangerous. We know the deputies should not have killed Chinedu, and they must be held accountable and prosecuted to the fullest extent of the law. We know that police are only held accountable when people come together to demand justice. Please join us as we come together with our comrades at Black Alliance for Just Immigration (BAJI), Chinedu's family, friends, and community in demanding that San Mateo District Attorney Steve Wagstaffe charge and prosecute every single officer involved in Chinedu's murder. We demand that you charge and prosecute San Mateo deputies John DeMartini, Alyssa Lorenzatti, Joshua Wang, Bryan Watt, and Sgt. David Weidner for the killing of Chinedu Okobi. He was a great father, a cherished son, a beloved brother, a trusted friend, a respected community member, and a gifted poet. He was an unarmed man who did nothing to justify being tased to death. We are concerned that you have already made public statements that suggest you have already decided the deputies who killed Chinedu should not be held accountable for their actions. Too often District Attorneys turn a blind eye to police murder against unarmed Black people. Police are not above the law. We demand transparency and accountability.